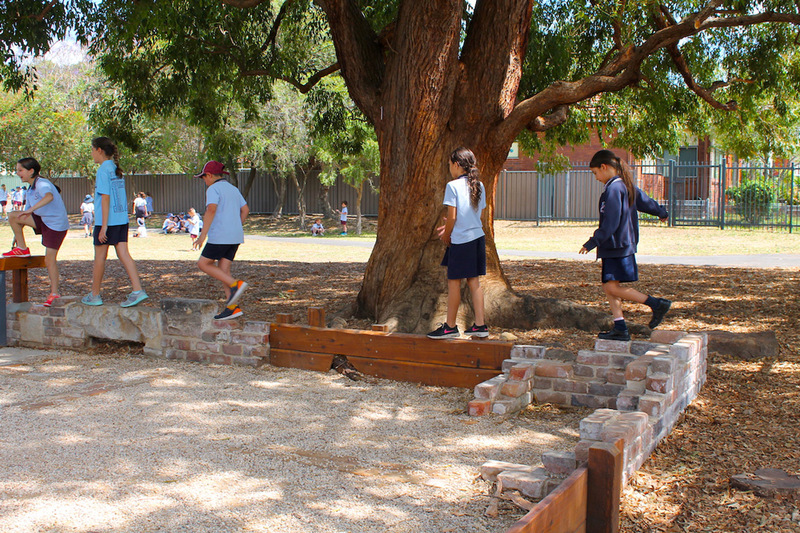 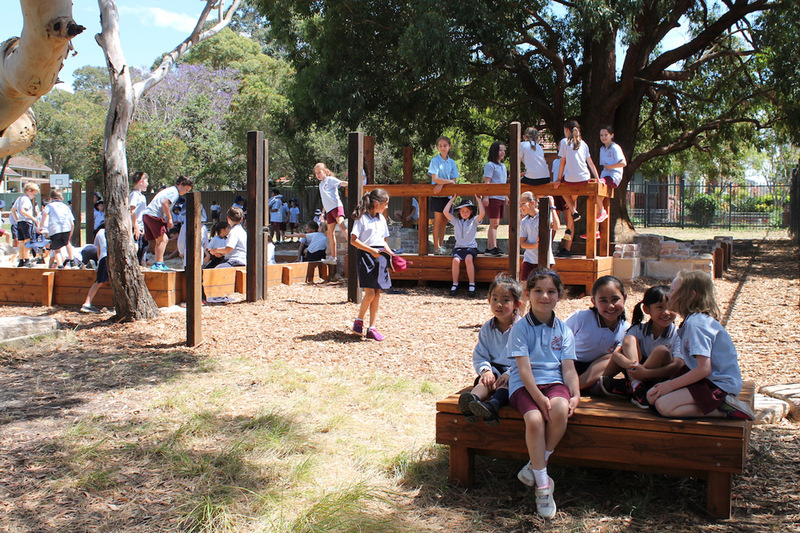 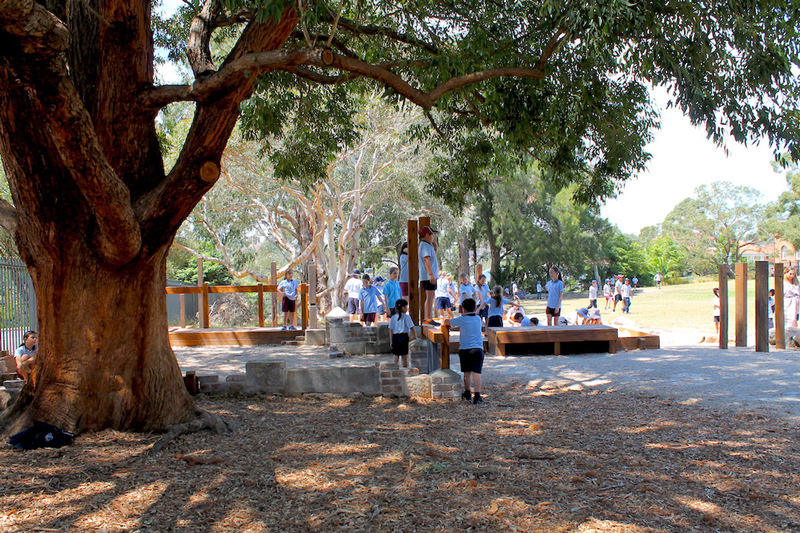 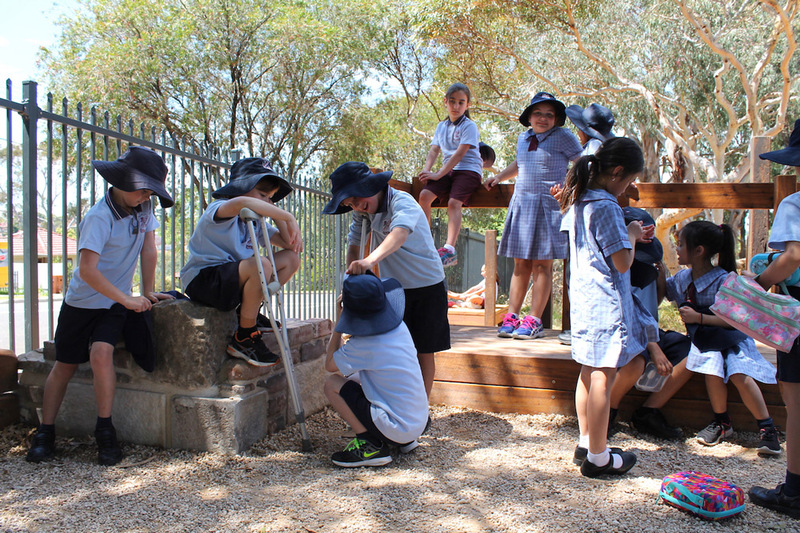 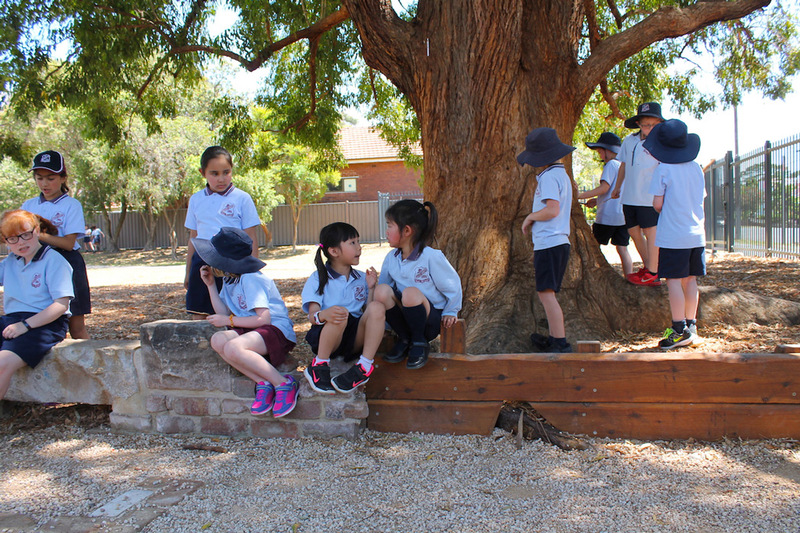 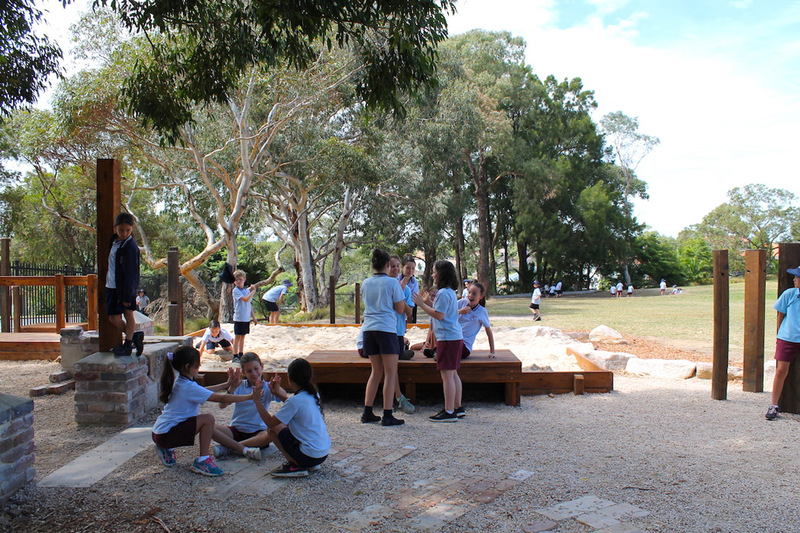 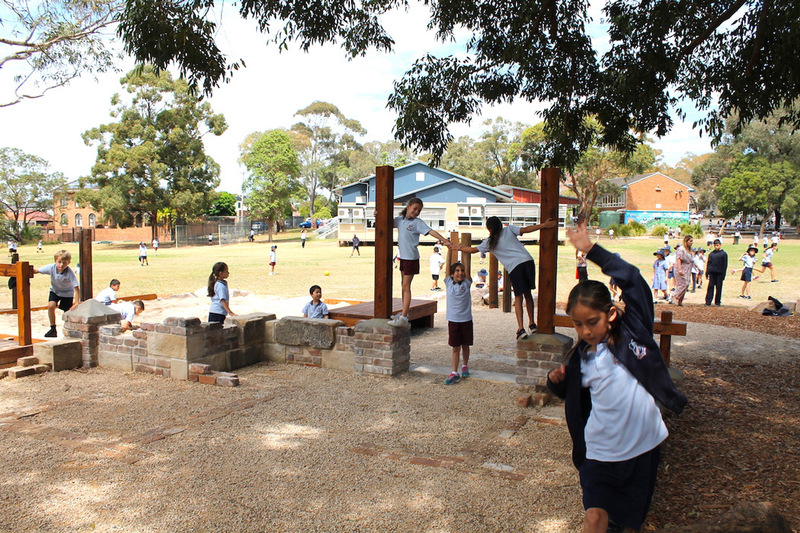 Principal Angie Sheinwald wanted to create a ‘Digging & Discovery’ playspace to complement the more active and structured play activities available. 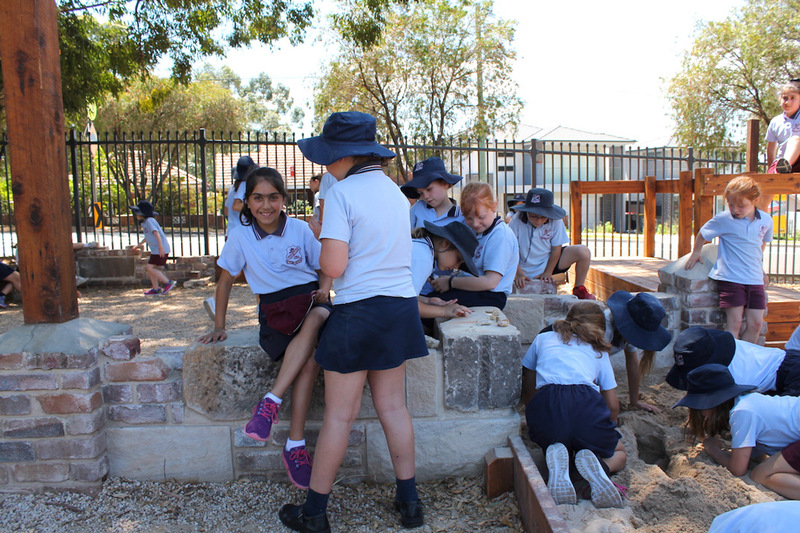 A ‘Medieval Village’ was the answer! 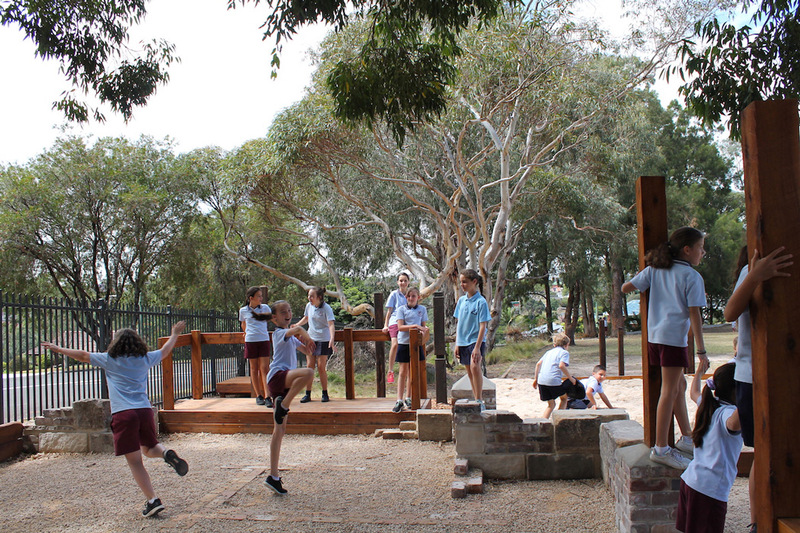 Peering eyes watched stone, recycled brick and old hardwood become the footprint of the ‘Castle Ruins’. 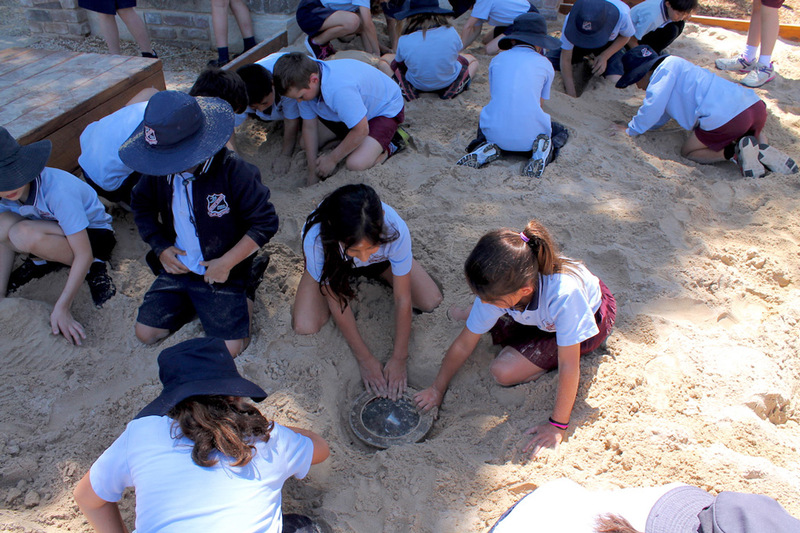 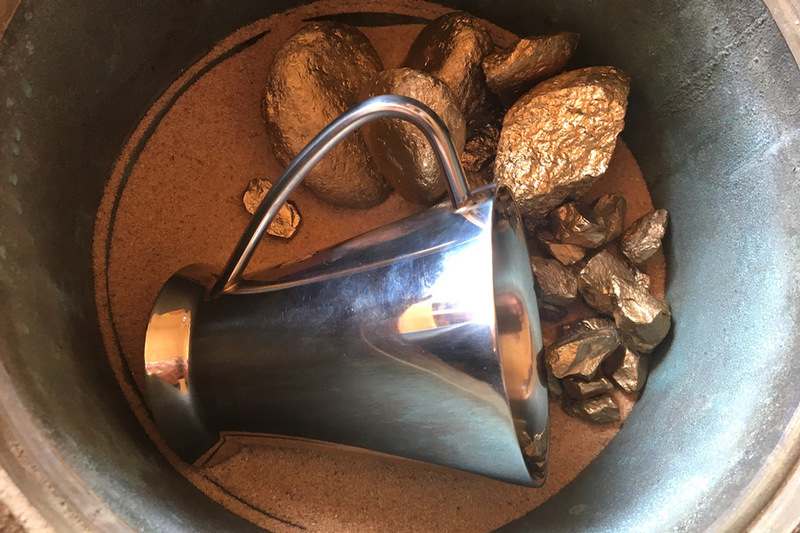 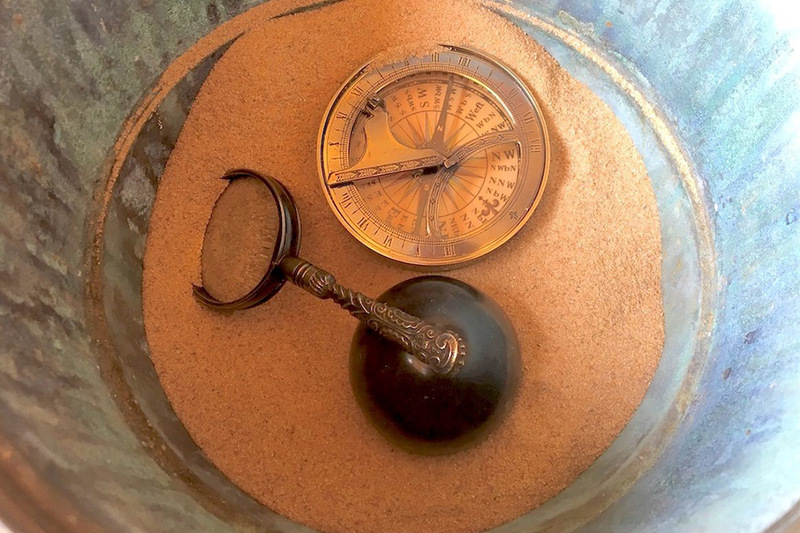 Gold, goblets and ancient treasures lay hidden in the sandpit time capsules, while the elevated deck is a gallows one day, and a stage the next.